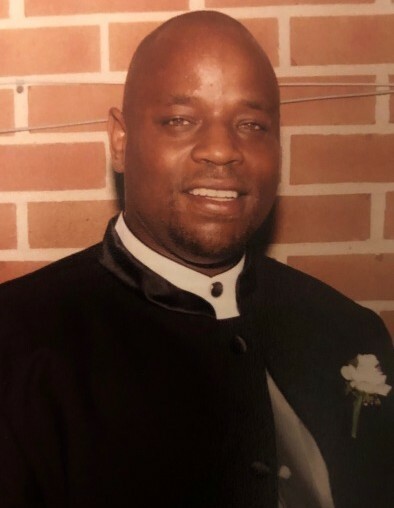 Phillip Eugene Strodes, 52, of Springfield, went home to be with his Lord and Savior Jesus Christ on Friday, April 12, 2019. He was born August 8, 1966 to the late Louis and Mary Strodes. Phillip was the youngest of six children and he brought into this world a light that will never dim. Amongst many titles, including husband, father and friend, Phillip was also well known as an all-around handyman, catering to the needs of ​friends and strangers alike without hesitation. With much knowledge to spare, Phillip enjoyed mentoring, speaking and listening to friends and strangers alike in hopes of enlightening the lives of those around him. Prior to becoming the handyman, he spent two years working as a skilled meat cutter at the Spring Farm slaughterhouse of Springfield, Ohio and 10 years working alongside his late grandfather in-law, John Wesley Long, Sr., as a laborer at Harris Harbor of Troy, Ohio. In October of 1987, Phillip was blessed with a son, Phillip Eugene Strodes, Jr. (31) of Columbus, Ohio. In October of 1991, Phillip was blessed with a daughter, Shiann Strodes (27) of Springfield, Ohio. In June of 2001, Phillip married his best friend and the love of his life of 30 years, Dana (Long) Strodes of Springfield, Ohio. In November of 2004, Phillip was blessed with his final child, Skylar Strodes (14) of Springfield, Ohio. In March of 2019, Phillip was blessed to receive his first grandchild, Denver Ashley. Phillip's mission was to bestow the ultimate level of love and kindness. He leaves to complete his mission and cherish his memory his loving wife, Dana (Long) Strodes; son, Phillip Eugene Strodes Jr; daughters, Shiann and Skylar Strodes; beloved granddaughter, Denver Ashley; brothers, Howard Pullen and Louis Strodes both of Springfield, Ohio, and Charles Strodes of Columbus, Ohio; special cousins, David McWhorter and Robert Edwards Jr; and a host of nieces, nephews, cousins and friends. Phillip was preceded in death by his parents and two dear sisters, Velma and Mary Beth Strodes. Visitation will be held at 5:00 p.m. until the time of service on Friday, April 19, 2019 at Mt. Zion Baptist Church, 1171 South Yellow Springs Street, Springfield, Ohio 45506 with funeral service beginning at 6:00 p.m. Arrangements entrusted to the care of the Jerry W. Kinley Funeral Home.